Gebr. Gentile AG, Näfels and Tre Valli Gastropartner SA have entered into a long-term strategic partnership and intensify cooperation at all levels. The joint future was ushered in by a strategic equity investment by Gebr. Gentile AG in Tre Valli Gastropartner SA. Gebr. 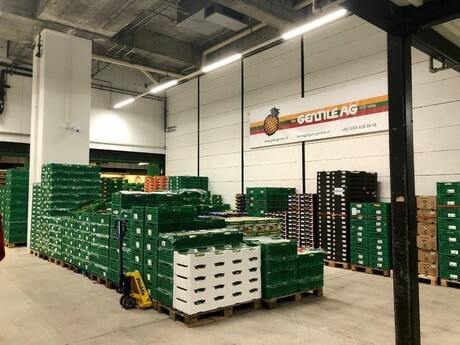 Gentile AG once again took its place on the wholesale market in Zurich last year. Even in the procurement of the fresh and frozen products as well as the supplementary products for the HORECA channels, both firm's forces will be bundled and optimized. In addition, synergies will be exploited in the marketing of Ticino's agro products, and this marketing throughout Switzerland will be further expanded. The synergies and opportunities resulting from this in-depth cooperation will position both partners even better in the market and significantly increase supply in both breadth and depth. With the new partnership, both partners reaffirm their commitment to the canton of Ticino and once again significantly strengthen their market presence. In addition, regional Ticino agro products can be marketed via additional channels, to a broader customer base. The Gebr. 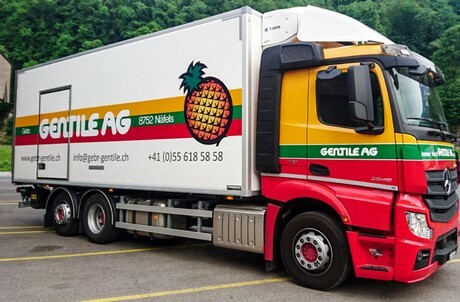 Gentile AG is a preferred partner in the wholesale and logistics of fruits & vegetables and employs about 75 people. From the logistics center in Näfels GL as well as the sales point in the Zurich wholesale market, Gebr. Gentile AG supplies customers throughout the German-speaking Switzerland and Ticino up to seven times a week, sometimes several times a day. Their customers include wholesale distributors and discounters, wholesale customers, industrial customers as well as independent shops and franchisees. Their core competence lies in the provision of customer-specific F & G platforms of all types and sizes. In doing so, a full-year F & G full range is combined with its own, extensive logistics, thus providing customers with modular, efficient and effective procurement platforms. The Tre Valli Gastropartner SA in Giubiasco employs 28 people and has been a leading partner in Ticino for the hospitality, catering and professional kitchens for more than 20 years. With its wide assortment of more than 6,000 articles and close-knit logistics, it is the ideal partner for customers who would like the products to be delivered quickly, with the best quality and at a fair price, directly to the kitchen. In addition, Tre Valli Gastropartner SA is active in the marketing of vegetables of the Ticino-leading producer Agrotomato SA and markets various types of vegetables with a volume of more than 3 million kg per year throughout Switzerland.